Don't trust your freedom to just anyone! We understand that dealing with an incarcerated loved one in the Orange, Seminole or Osceola Jail can be a traumatic, stressful, and frustrating experience. Being arrested by the police is a troubling and, often times, embarrassing situation. You don't have to face this situation alone! Our professional bail bondsmen can assist you. We are able to secure your bail quickly and discretely to ensure a speedy release from jail. Native Bail Bonds has been reliably bonding people out of Central Florida Jails for more than 20 years. has been a source of comfort and security for those looking to avoid spending any more time than necessary behind bars. Native Bail Bonds is dedicated to getting people out of jail quickly and affordably. Our unrivaled experience and professionalism will help you cope with what can be an extremely difficult experience. Let us get you or your loved one out of jail now! Don't wait, call 407-246-1711. One of our bondsmen is standing by ready to assist you! When an individual is arrested for a crime, typically that person will be taken to a local law enforcement station for booking, prior to incarceration in a station lockup or county jail. 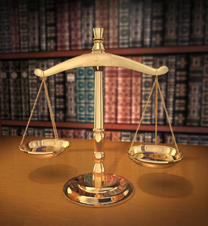 Once arrested and booked, the defendant has options for release pending the conclusion of his or her case. After a defendant is booked into a county jail (ie. : fingerprinted, photographed, warrants checked, etc. ), it typically takes anywhere from four to eight hours to be released on bail. We wish we could speed up the process, but the county jails operate at their own pace. Be assured we will be by your side the whole way.